The Original Resinator was established in 2011. Home of the only multi-use, wet/dry, flash freeze, all-in-one, patented, rotary separation apparatus on the market. Whether it’s distillates, rosin, bho, tinctures, oils, salves, topical's, edibles, or concentrates, it’s always preferred to have a pure extract. All Original Resinator photos taken by Lizzy Fritz for Ed Rosenthal.com. Like so many cannabis related technologies, the origins of the Resinator was a labor of love. The prototype machine was built in 2008 by Travis Arnovick and James Watts. This original bucket-based contraption was held together by duct tape, bungee cords, silk screen and paper clips. After they strapped on the engine -- an old BBQ rotisserie motor -- it was ready to roll. This magnificent beast went through a long series of trials and test runs until the first market-ready Resinator was built in 2011. Before their Resinator endeavor, the company founders used to spend long days and nights trying to maximize the amount of resin they could extract from trim and shake, and quickly came to the conclusion that there had to be a better way. Today’s Resinator is a multi-use, wet/dry, flash freeze, all-in-one, patented, rotary separation apparatus. The machine uses a dry sieve tumble method -- aided by CO2, dry ice and water -- to extract the essence of botanical resin glands from wet or dried flowers and plant clippings. The company’s uniquely crafted Resin Collection Bags and removable/washable drum screens sift undesired plant material, stems and particulates, leaving only the desired trichomes to fall through the high quality, micron rated monofilament screens. The combination of these methods and ingredients significantly increases yields and efficiency compared to other sifting techniques. Some of the design features that set the Resinator apart from the competition include its removable/replaceable and washable screens that come in eight different sizes, depending on the type of extraction or separation that is desired. Another important aspect of the design is the use of liquid CO2, which allows producers to work with live plant material and extract live resin from uncured biomass. This method of extraction is popular with a variety of rosin techniques, including closed Loop systems, short path/fractional distillations and ice wax extractions. The liquid CO2 allows the machine to instantly freeze, fracture and extract resin glands and trichomes from cured and uncured plant material, achieving 20% (or better) returns in less than 10 minutes. Manufacturers of tinctures, oils, salves, topicals, edibles, and concentrates always prefer pure extracts, and the Resinator delivers high-quality resin all day long. The Resinator can also be employed as a wet/dry flower trimmer, using a mesh screen and CO2 to accomplish up to 80% of the job. The Original Resonator extract only the pure essence of botanical female Resin glands from dried flowers and plant clippings. 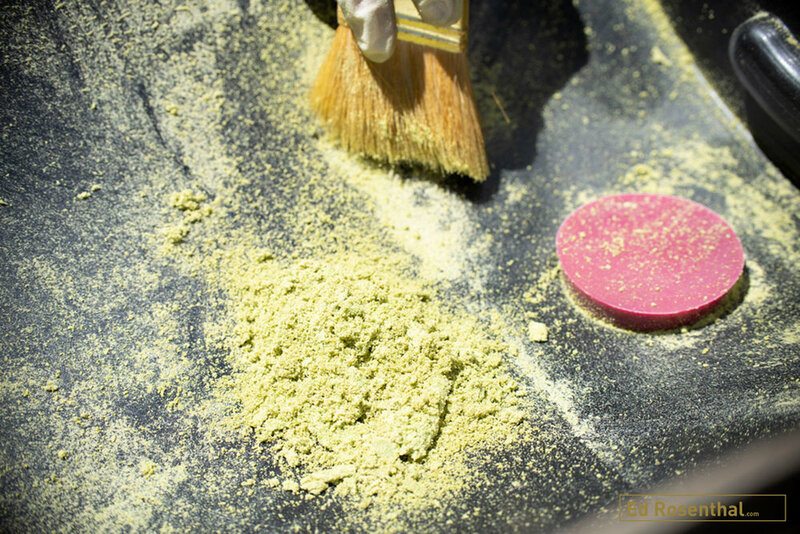 Sift undesired plant material, stems and particulates leaving only the desired trichomes. Escape from the world of residue left over from solvent extractions.